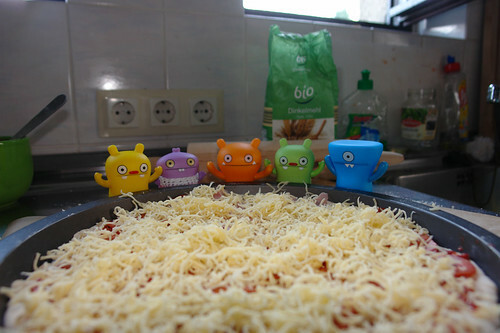 Adventures In Uglyworld: Uglyworld #50 - Look What We Made, Pizza !!! Uglyworld #50 - Look What We Made, Pizza !! !, originally uploaded by www.bazpics.com. Check out the joy on those happy little faces, they made their first pizza!! !